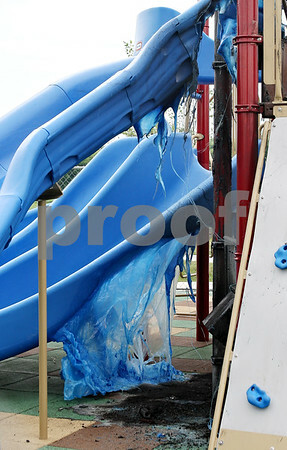 Melted plastic hangs from a slide at a playground near the corner of Main Street and Mt. Hunger Road in Sycamore, Ill., on Tuesday May 21. 2009.